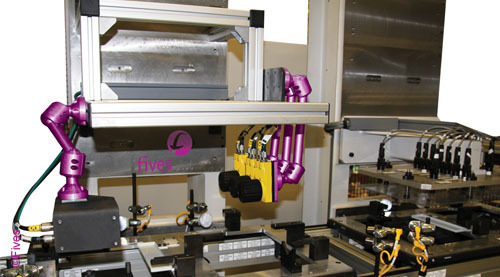 The Fives solution offering leaders in vision applications for assembly manufacturing systems. Expert knowledge in multiple camera brands and pattern recognition software. Standard and custom applications available. For Vision applications on gauging, surface finish and assembly select applications. Technology for In house Vision laboratory and reporting on recognition studies, lens selection and lighting requirements.